What Guests Expect In A Hotel Room? Many people visit a hotel each and every year, whether it be for work or pleasure, there are certain criteria which most hotels should meet. Here at King Of Cotton, we conducted a survey based on 529 respondents in the UK. We asked "What Matters Most To You As A Hotel Guest?" Comfortable Beds & Bed Linen. Besides the more important basic requirements such as cleanliness, adequate customer service, reasonable check in/check out, we wanted to know what matters most to the public. It comes as no surprise that the highest percentage and the most popular part to a hotel room was a comfortable bed and bed linen. Whether you are staying in a hotel for one night or seven nights, each nights sleep should be satisfactory, comfortable and in some cases the best night's sleep anyone has ever had. 49% of UK participants decided that a comfortable bed and bed linen outweighs the other popular choices such as hotel toiletries, electricals and even room service. Comfortable bedding could be achieved by choosing one of the most luxurious materials such as Egyptian cotton bed linen and a decent hotel quality bed. 21.9% of UK participants chose safety and security as the most important element to their hotel room, making it the second most important overall. Safety and security may be important for those who have valuables in their room, such as money and laptops. Hotel safety can be achieved with 24 hour customer service, a door person, properly fitted door and window locks and even a room safe. The third most popular option was complimentary Wifi, which clearly tells us either the British public are hardworking and on business trips or that in today's society we are constantly glued to our phones and no Wifi is a crime against humanity. Although it was the third most popular to the UK respondents, it was only selected by 12.6%. 10.6% of UK participants selected food, beverage and room service as the most important element to their hotel room. Although many hotels may not offer room service, complimentary items such as tea, coffee and biscuits can go a long way. When choosing a hotel, guests may prioritise hotels over one another based on whether they offer room service. The second from last and may we add - a close contender, was electricals. Electricals such as irons and hairdryers seem to be less important to UK participants since only 3.6% chose this as their priority hotel room essential. This may lead us to believe that more and more guests are bringing their own electricals and in fact prefer to do so. Last but not least, 2.3% of UK participants chose complimentary hotel toiletries as the most important element to their hotel room. Although this option was the least popular, we believe that if the question was changed and instead we asked "do you appreciate the complimentary hotel toiletries" we would likely see over 90% of UK participants say yes. Complimentary hotel toiletries often come in the form of shampoo, conditioner and shower/bath gel. These can be taken home and often come personalised to the hotels brand so you can keep as a memento. The most popular choice for the 18-24 year old age group was surprisingly the food, beverages and room service option. 25 to 34 year olds contributed to the majority of the complimentary hotel toiletries percentage. The complimentary wifi option was most popular for the 35-44 age range. The 45 to 55 was one of the most interesting age group as 0% chose the complimentary hotel toiletries option, however they did contribute to most of the comfortablebed and bed linen option. The 55 to 64 age range was also an interesting group as it was a close call between comfortable bed & bed linen and safety & security. The 65+ age range took us my surprise, in which the food, beverages and room service was the most popular option selected by this age group. With 15.5% being the most popular, only 13.7% chose comfortable bed and 14% choosing safety & security. This research has allowed us to take a look at what really makes or breaks a hotel room for many UK hotel goers. It has also allowed us to break down and address the stereotypes of the idea that younger people prioritise Wifi and an older age range preferring a comfortable bed. 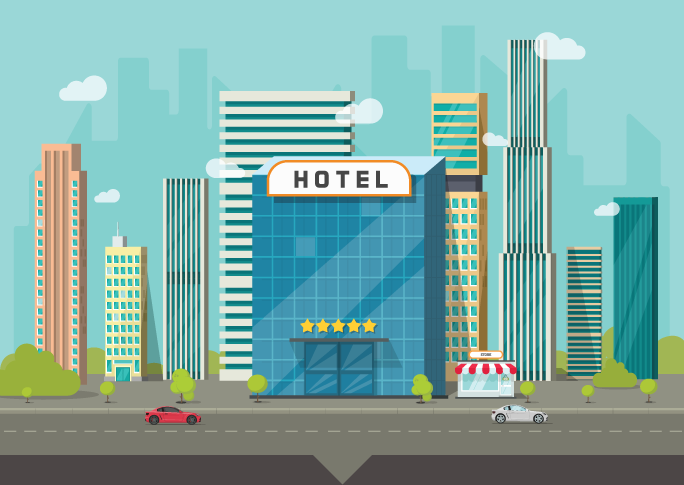 Whether you are travelling for business, or love to get away for the weekend, your hotel choice may be determined by a number of different factors. However, hotels don't just have to be that place of escape when you could turn your own bedroom into a luxury space. If you love staying in hotels but want that hotel quality feel at home, why not invest in Egyptian cotton towels, cotton bathrobes and even some cotton & spa slippers.